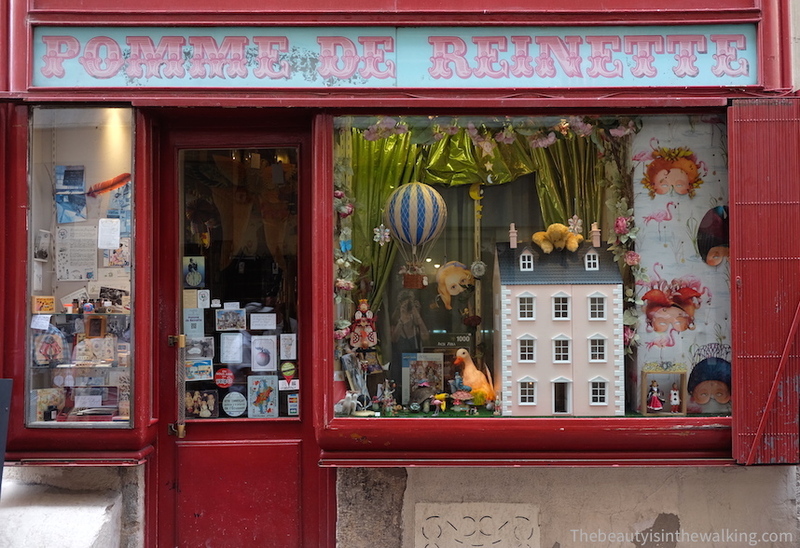 Pomme de Reinette is a toy shop located in one of the oldest little streets of Montpellier’s city centre (Southern France). But it’s not an ordinary shop. At first, we can’t help pressing our noses against the magnificent display in the shop window. And then, it’s just impossible not to walk in. As we push open the door, a bell tinkles and we step into an ageless world, where everything is games, colours and magic. We progress further with eyes wide open, letting out some “Oh !” and “Aaaaah…”, and giggling a hand on the mouth. It’s as if we were suddenly four years old, then 15, and back to two and a half, and then 50. It’s a wonderful kingdom of toys, a stock of lovely stories, a cave full of secret strategies, a treasure box of unexpected revelations, well, a place where dreams are ready for young and old alike. Everything is alluring at Pomme de Reinette, like those lovely ancient-style musical boxes, those so realistic model cars, and all sorts of games such as strategy games, card games, and role-playing games for which one of the friendly salespeople will passionately explain the rules. There is even a small museum displaying ancient toys upstairs. And for toddlers, there is also the shop next door, called Pomme d’Api, which was the first of the two shops opened by Alain, the owner. I will say no more; discover it by yourself. These two toy shops were opened by Alain, who moved to the city of Montpellier decades ago for completely different purposes and later developed a passion for toys. Today, almost all the other members of the family have joined the adventure and help him run the shops. Read his portrait (in French only).